There will always be a special place in my heart for Obscura. Established as one of the bands on the forefront of technical death metal, there isn’t a lot to say about the quartet that hasn’t already been said countless times over. They are group of some of the most adept musicians in the world and they continue to astound with their performances on each passing record. With Diluvium, we see another line-up change as now Rafael Trujillo joins the band on guitar and Sebastian Lanser joins on drums. These guys had massive shoes to fill, and I’d say they met the standard that had been set. Diluvium kicks off fast and hard, not wasting any time with an intro or build-up. “Clandestine Stars” has a good balance of signature Obscura elements. You get some modulated vocals, fretless bass solos, and techy riffing. The reason I even got into this band in the first place was because of the unique bass work and I was very excited to hear what Linus Klausenitzer would put together on this record. Hearing a solo in the first song gave me a lot of hope for the album. It quickly became apparent that the technical abilities of the guys in the band clearly haven’t gone anywhere. The riff work is fast, tight, and articulate. I really appreciate how they’d shift from the faster riffs to slower interludes, adding a variety of fresh tempos. As much as I love my death metal fast and brutal, those breaks really add depth and more texture to the record. 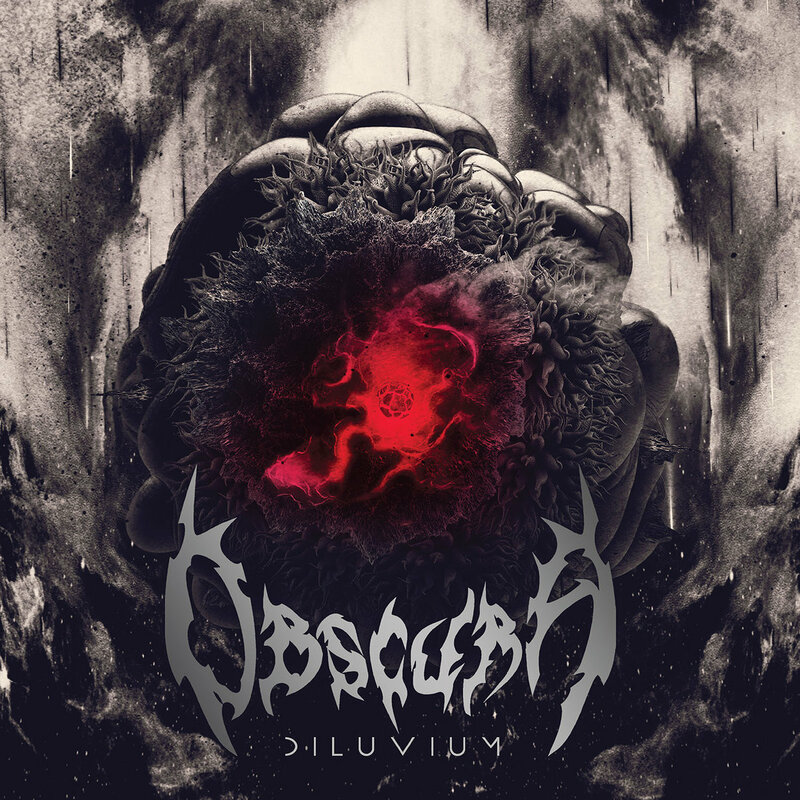 Diluvium takes a more aggressive stance than its 2018 predecessor, Akroasis, but still feels like it’s lacking the bite that Omnivium and Cosmogenesis had. They still feel more artsy than previous works. I don’t see this as a bad thing either, it’s just a change worth noting. There seems to be more of a focus on the flair of the solos than the grit of the riffs. Granted, if I could compose solos like Steffen Kummerer and Rafael Trujillo, I’d put a lot of energy into the solos and throw ‘em everywhere. To me, it made the album less memorable than previous works, only because there were less catchy riffs in lieu of more crazy solos. You’d look like an absolute lunatic if you tried whistling or humming any of these solos. Songs don’t become earworms on the merit of the solo, they get lodged in your head because of the riff work. All in all, the album is pretty fantastic. Everything about it is master grade, from the instrumentation to the production, all top notch. I was hoping for a little more umph than dazzle, but I’m not disappointed in the slightest. Of course I geeked out at all the awesome bass work because that’s obviously what I came here for. I’m very excited to see these guys soon on their American tour to witness the fretless wizardry in person. I’m sure the rest of the band will be impressive as well, but y’all really know why I’m there. Go get to a show if you can and let your mind be melted by these absolute lunatics!